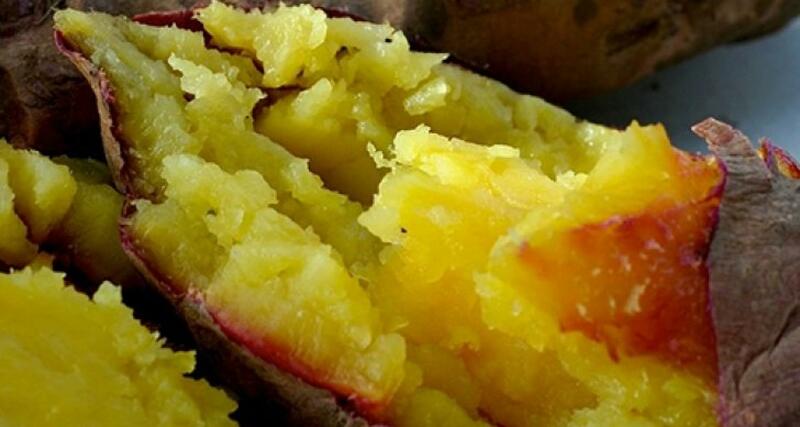 The biggest autumn gastronomic festival in the south of Portugal, the Aljezur Sweet Potato Festival will take place in the Algarvean town on November 25, 26 and 27. Once again, the event sets out to awaken the senses and to draw people to the heart of the Vicentine Coast. Organised by the Aljezur Municipality, in collaboration with the Aljezur Sweet Potato Producers Association, this is an ideal opportunity to enjoy the best sweet potato in the country and taste the excellent traditional gastronomy and confectionery of the area, where sweet potato of the Lira variety, certified with the Protected Geographic Indication (PGI), is the main ingredient. There are more than enough reasons to visit the festival: buying the authentic and delicious sweet potato of Aljezur, enjoying it roasted to order in a wood-fired oven or fried in slices, as a snack, with sugar and cinnamon, or even as the main element in traditional dishes from the several local restaurants and eateries on site. The fair also includes several dozens of exhibitions and a programme highlighting the best of the Algarve region: handicrafts, local commerce, traditional confectionery, several live cooking demonstrations hosted by renowned chefs, wine and aguardente (firewater) tastings, sweet potato sweets contests and other cultural offerings. Only in Aljezur can this root fulfil the requirements to be produced in “inimitable” conditions. In 2009, the association that represents the Aljezur producers was granted PGI certification. The sweet potato, with the guarantee seal, is confined to the parishes of São Teotónio, São Salvador, Zambujeira do Mar, Longueira/Almograve and Vila Nova de Milfontes. The Lira variety is picked only once a year, between September and mid-November, with the best quality available until April. The particularities of the soil and the climate result in a product of unparalleled taste and textures, which allow for the most varied gastronomic reinventions. It is sweeter, its texture is soft and not too stringy, and when eaten raw its taste is like that of a chestnut. Sweet or savoury, the sweet potato can be found in kitchens all over the world, including at the hands of the most renowned contemporary chefs. Those who eat it know its unique characteristics, and nutritionists say that it contains high nutritional interest. It has a low glycaemic index, helps to control diabetes, aids in weight loss and prevents anaemia. It reduces cholesterol, regulates blood pressure and strengthens the immune system. It is an important source of complex carbohydrates, iron, calcium, vitamins A, C and E, and plays an important role in the formation of collagen.